If a rim is not a round circle it will appear to move up and down as it passes through a rim brake or goes by some other index point. 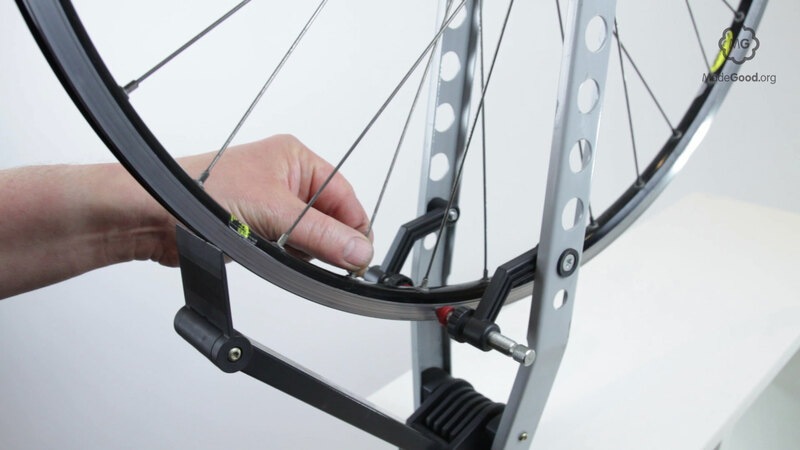 You can true a rim by adjusting the spoke tension. 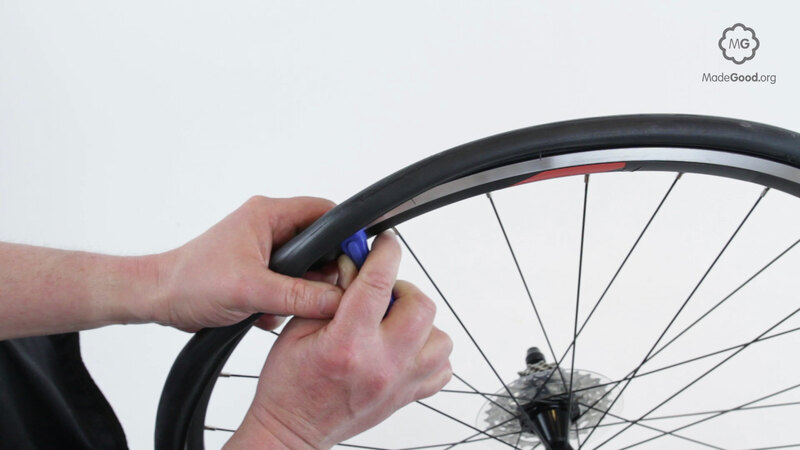 You can’t true a rim wich is non-circular rim without removing the tyre and tube. Watch the rim carefully and move the index point so that it just drags on the rim at it’s furthest point from the hub. 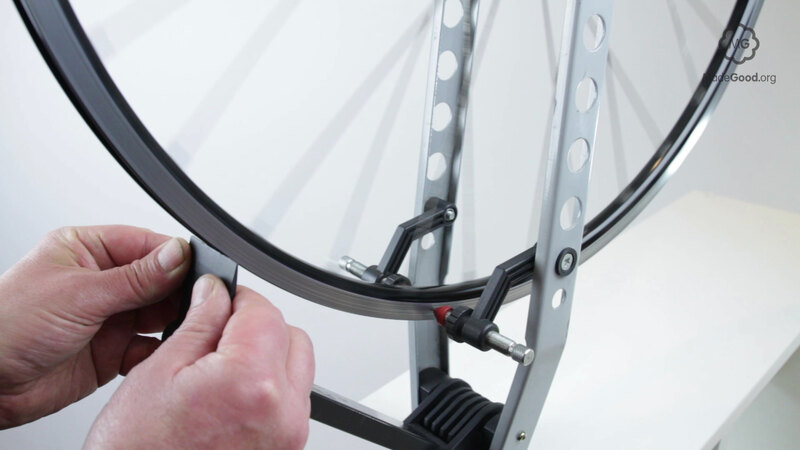 To true a rim is much easier if you have a wheel-jig. 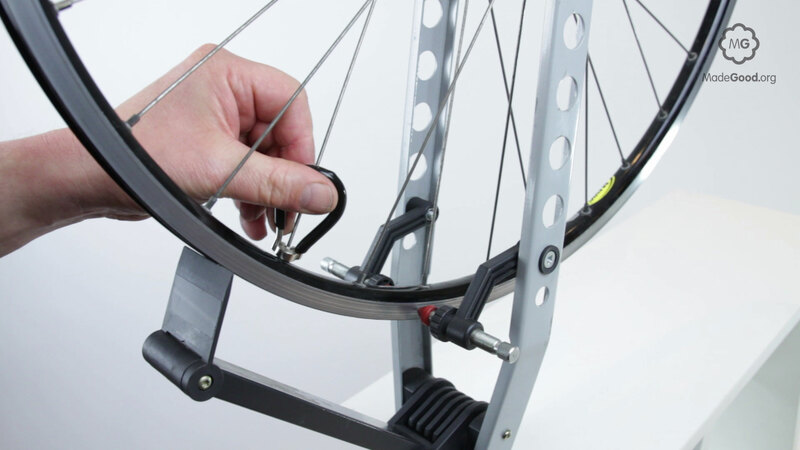 All the spokes going to the hub from the rim’s high-point need to be tightened. Tighten in the middle more than those at the end of the misalignment. 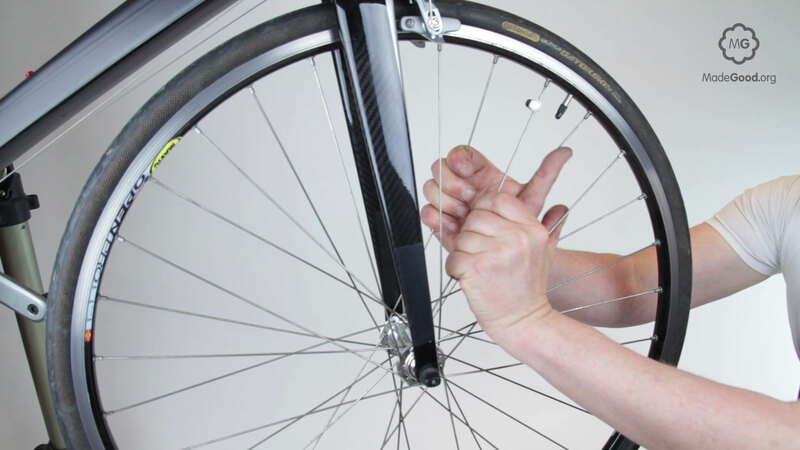 Make small adjustments don’t give any spoke more than a half turn before checking and re-diagnosing. 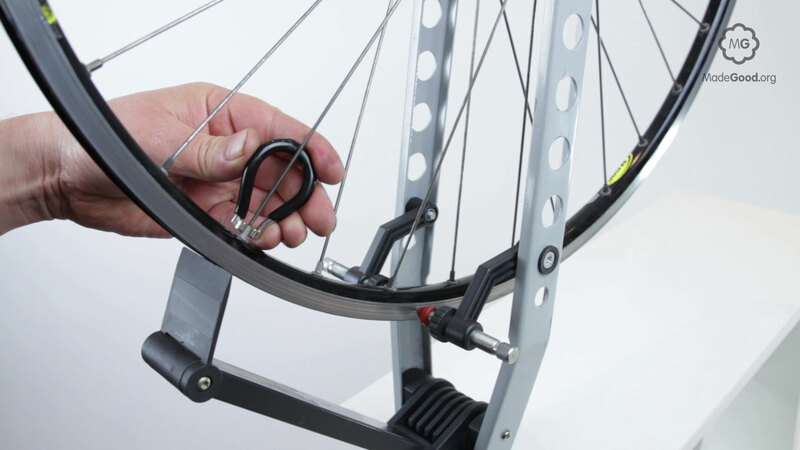 If the rim has a dip loosen all the spokes under that point. As the rim improves move the index point to find a new position where it drags on the rim. Take your time and have patience, there is an art to being able to true a rim. Between each round of adjustment and re-diagnosis stress the spokes using the procedure checking spoke tension and squeezing hard. This releases any twisting forces trapped in the spokes. If you don’t do this the forces will be released the first time the bike is ridden and the wheel may go out of true straight away. This stressing process is the main difference between a hand-built wheel and one built by a machine. If you can’t get the rim straight without very uneven spoke tension the rim may be damaged beyond repair and need replacing- this is an example of when you cannot true a rim.